CertainTeed products are a modern take on timeless, traditional exterior looks. Their cedar shake and board lines invoke all the quaintness of a cozy New England township, while providing today’s homeowners the convenience and durability of contemporary vinyl siding. And, they’ve done a lot to come out as a progressive green-thinking company that’s focused on providing earth-friendly building materials for the home. Read on for the ins and outs of buying from CertainTeed to help you decide if they’re the right brand for your project. CertainTeed’s offerings fall into three categories: vinyl, polymer, and insulated siding. If you’re looking for energy efficiency, the insulated siding might be a good choice as it contains a contoured foam backing that prevents drafts from penetrating the interior of a home. However, if you’re more interested in capturing a time-honored naturalistic look, then the polymers might be what you’re after. They are textured to match the appearance of cedar shakes and even offer staggered rough split patterns that break up the uniformity of manufactured siding. CertainTeed siding has a very classic, Northeastern look. 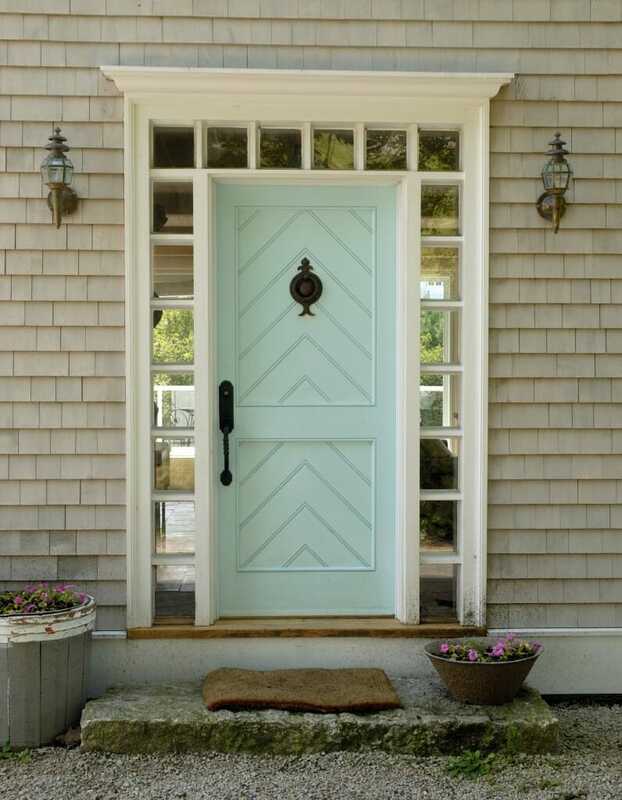 Their offerings resemble freshly-milled cedar shakes or clap board and come in a variety of stately color options. They even provide some very unique shapes, such as their half round cedar shingling pattern or their beaded vertical boards, which offer an interesting twist on your standard classics while retaining an elegant old-world feel. CertainTeed’s vinyl siding and soffit– the material used in a home’s overhangs– are National Green Building Standards approved, according to their website. Much like LEED certification, NGBS approval rates newly constructed projects for their energy efficiency and use of green materials by awarding them points for each environmental feature. CertainTeed vinyl siding can add between 1 to 6 points in several categories, from manufacturing practices to termite resistance. Meanwhile, as a whole, the company has shown itself to be a leader in green building–they recently released a whole line of solar roofing tiles, for instance. Like most siding companies, CertainTeed offers a limited lifetime warranty on its products. And like most manufacturing warranties, the key word here is limited. Defects are covered, but not wear and tear from cleaning or weather events, and if you use a power washer on the siding the whole warranty is void. Make sure to check out the full conditions of the warranty– many homeowners buy before reading the fine print and assume they are covered when they may not be. CertainTeed takes pains to offer tips on cleaning care, steering owners away from chemical cleansers and especially from using power washers on its products. They recommend applying a solution of phosphorous, water, and laundry detergent to their siding instead of pressure washing, meaning that cleaning may be an issue if you’re looking for a quick and effective option. CertainTeed siding will run you anywhere from $4.50 to $9.00 per square foot, depending on the make and features you select. The insulated and polymer cedar shakes tend to be the most expensive options here, but keep in mind if you opt for trim when you select the siding it will increase the cost. CertainTeed’s Cedar Impressions line is graded very highly by Consumer Reports, scoring an impressive rating of 95. Its other models, however, not so much. While the Impressions models performed well for sun damage, cold impacts, and high wind conditions, weather and fading took a much higher toll on the CedarBoard and Monogram 46 sidings, especially the cold. It’s worth pointing out that the Impressions line garners higher consumer ratings, as well. A note of caution about CertainTeed’s WeatherBoard fiber cement line: this product is notorious for its brittleness, and over and over again, builders and homeowners report problems with cracking and warping after installing it. In fact, the issues were widespread enough that in 2013, a class action lawsuit was filed against the manufacturer. It was eventually settled, of course, but you should be cautious if you decide to look into this product. CertainTeed is a solid brand, particularly if you like the look of their cedar shake siding. And they’re nationally recognized for their commitment to the environment, which is refreshing to find in any company. However, like most things in life, you get what you pay for. Their quality deteriorates rapidly in their cheaper options, meaning that you’ll need to spring for the more expensive varieties if you don’t want to end up replacing your siding again in a few years.